Dr. Barbara P. Mink was first elected to the Austin Community College District Board of Trustees in 2000, and was re-elected in 2006, 2012, and 2018. The current term will end in 2024. Dr. Mink served as Chair of the Board, 2017-2019; Secretary of the Board, 2015-2017; Chair of the Board, 2010-2012; Secretary of the Board, 2008-2010; Chair of the Board from 2004-2006; Vice-Chair of the Board from 2002-2004, and also has served two terms on the Board of Directors of the ACC Foundation (2009-2011 and 2002-2004). Since 1978, Dr. Mink has been a professor in the School of Human and Organization Development (HOD) at the Fielding Graduate University in Santa Barbara, CA. She teaches and supervises doctoral students in the areas of organizational theories, management and leadership systems, and learning and motivation. She also served as the dean of the HOD Program from 1997 to 2001. Dr. Mink served a three-year term on the Board of Trustees of the Fielding Graduate University where she was a member of the Board Executive Committee and was Chair, Board Committee on Diversity and Social Justice. She is also a lecturer in the Department of Educational Administration at The University of Texas at Austin. Dr. Mink has more than 35 years of international consulting experience in the areas of leadership development and the design and implementation of organizational change. She has worked with clients in the fields of manufacturing, health care, education, government, communications technology, and banking. Dr. Mink's honors include being elected to Pi Mu Epsilon (mathematics honorary) and the Board of Directors of the Human Resource Planning Society. She has been listed in Outstanding Educators of America, Who’s Who in American Women, and Who's Who in the South and Southwest. 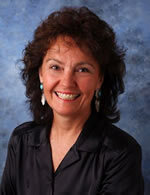 She served on the Board of Trustees of the Texas Association of Community College Trustees and Administrators (TACCTA). She has also been President of TACCTA. She is currently on the Board of Directors of Envision Central Texas. Dr. Mink has also poetry and creative writing awards in Texas writing competitions and is currently the President of her northeast Austin neighborhood association.